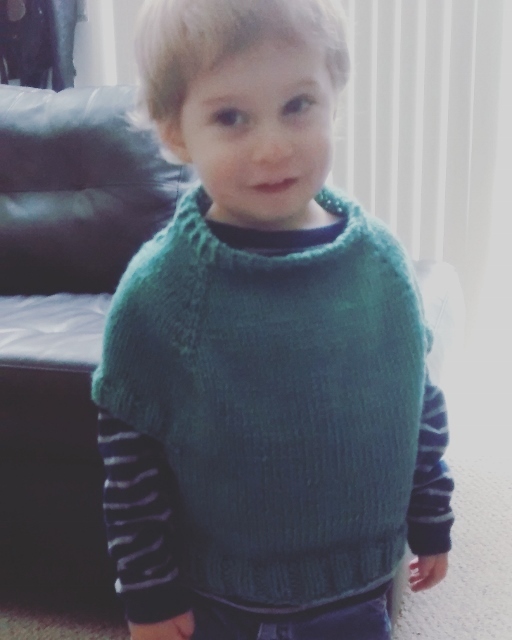 I made this for Reuben to wear over his clothes all winter. 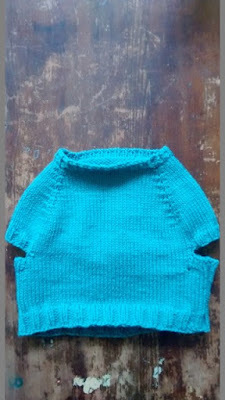 It's made of knit picks bulky wool of the andes, and knit with love! However I might have made it too small. It fits perfectly right now... so I think I will have to make him another one for the December-Feb months. It just goes to show you that this kid grows FAST. When I finished it in August, it was a little big, and very long on him, and now at the end of September (when I am writing this) it fits perfectly. 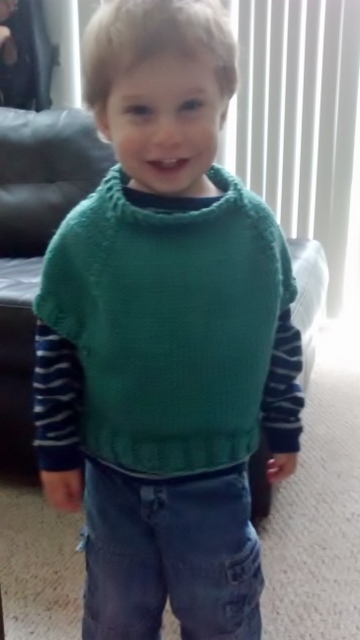 He's such a tall boy as well, always in the 80-90 percentile for height for his age. This pattern is the Odila Cap Pullover. I did make two adjustments. I changed the k1tbl, p1 to k2, p2 as I like the way it looks better. I also added a decrease in the back as I wanted it to be a little tighter at the bottom. All in all, I love it! Reuben had to be bribed with chocolate for these pictures. Isn't he cute? !